But the media has gone silent all around. Ivor Bell, released four months ago, no charges being pursued but no announcement that charges have been dropped. New stories in May saying that the PSNI was going back to the Boston College archives for the whole Belfast Project collection, followed by months of silence. 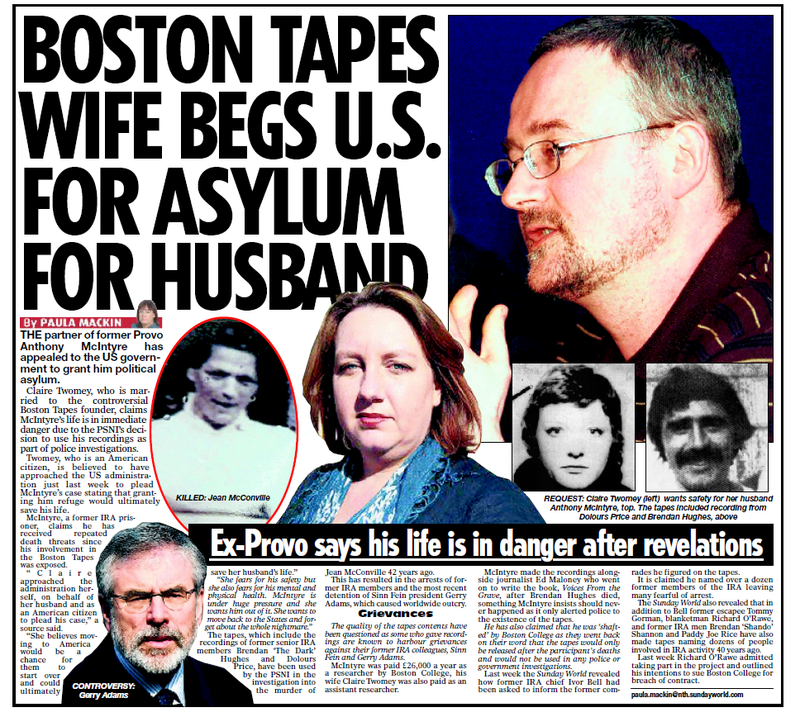 Gerry Adams arrested, interrogated, released; file sent to the PPS….and then what? The whole sham has been allowed to slink away into silence, as forgotten as if it had never happened. would you like ketchup or soya sauce on those words when you have to eat them chris? or just plain? Has Gerry forgotten he signed the Good Friday Peace Agreement?